Mana Pools, on the Zimbabwe side of the Zambezi, is a raw wildlife experience. There are no glamour camps and very few visitors. But therein lies its charm and allure. It was a great thrill to spend time in Mana with David Pocock – flanker for the Australian Rugby team – and his partner – Emma. Dave was born in Zim and when he hangs up his famous boots, conservation in his native country will no doubt become a large part of his life. It was quite a revelation to find that this colossus of a man, was able to correctly pair every bird sound with the right bird. He even has a bird sound app on his iPad. Life is full of surprises. The rainy season had just finished and so it was still very green in Mana Pools, making it a challenge to come home with something special. With such an illustrious assistant, I felt under a little pressure to perform and until Sunday morning, the cupboard was distinctly bare. We focused on one pool and one enormous hippo, but I just could not get close enough or low enough. Plan A – working with 25 feet extensions poles, which Dave – being a strong lad – held steady for long periods of time – was fruitless. 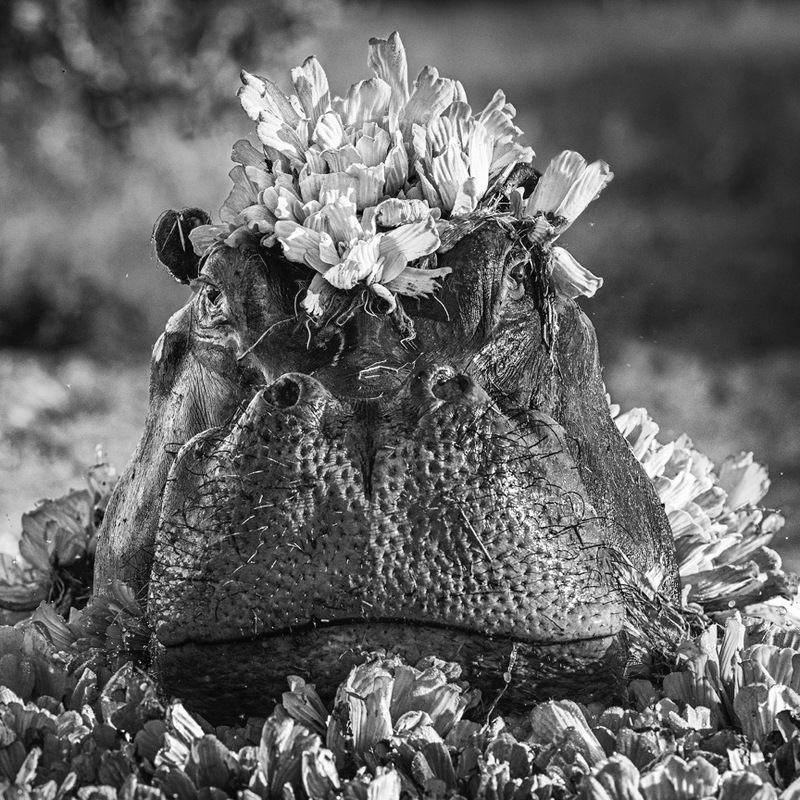 Plan B was simply to be brave and that morning at 6.30 am, I managed to crawl within 15 yards of the hippo. When he surfaced and mock charged me, it all came together perfectly. Thank goodness – by getting it wrong, we learnt how to get it right.